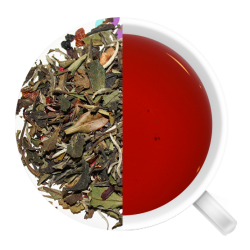 Perk up with a fresh cup of this exquisite white tea blended with organic blueberries and a touch of sweet-tart hibiscus, guaranteed to turn any frown upside down! 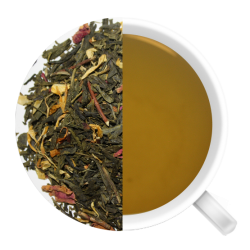 Known for its detoxifying and stress-relieving properties, white tea contains the highest antioxidant level of all teas. A study done on both men and women (most diabetic) who were given Hibiscus tea to drink daily found after just 12 days that hibiscus helped lower blood pressure significantly in patients with mild to moderate hypertension. 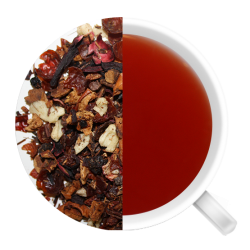 In this study, both systolic and diastolic pressure was lowered as a result of drinking hibiscus tea. So whether you’re looking to lower your blood pressure or just want to get some antioxidants flowing through your body, we think you should give this tea a try! 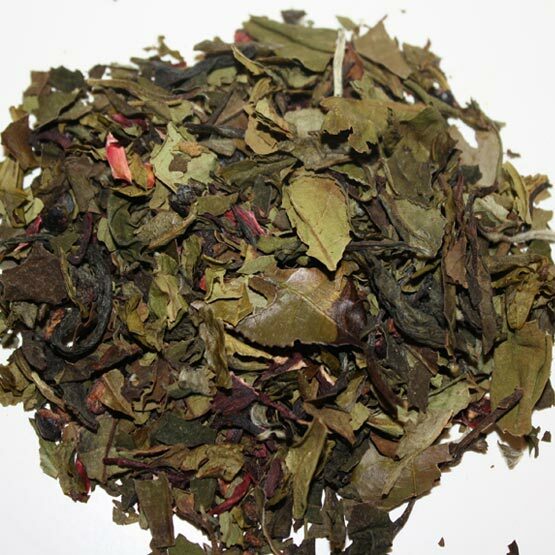 This is our most popular tea iced and is even used in our jams and in a shortbread recipe. 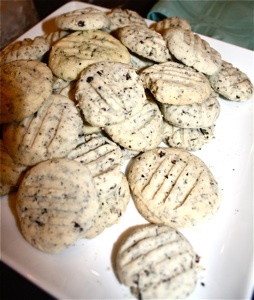 After our feedback from the What Women Want Expo, we wanted to share our “Got the Blues?” tea infused shortbread cookies with you! Cut in with a wooden spoon 3/4 cup of butter. On a cookie sheet, roll into small balls and press with fork. Bake for 18-20 mins. Will make 20-25 cookies.